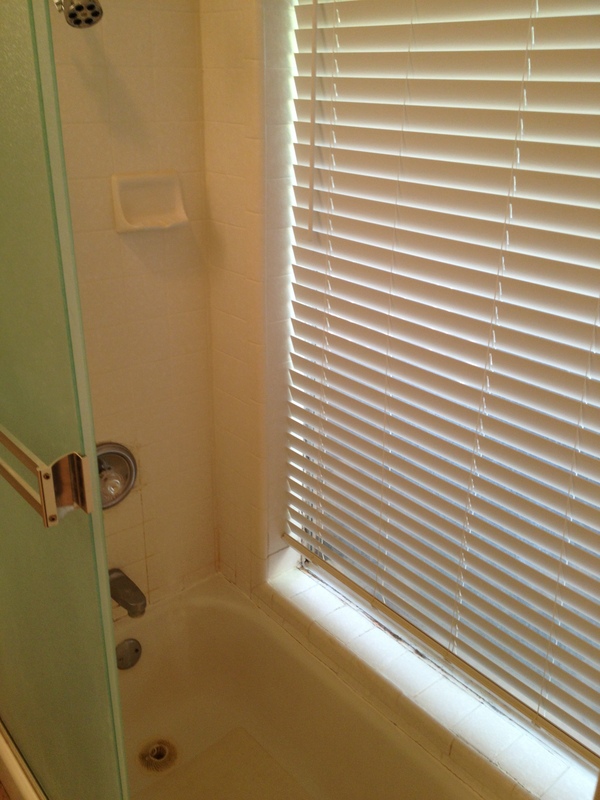 My aging house had a sunken tub in the master bath. 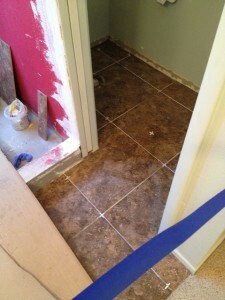 There was some deterioration in the tiles and grout and it was time for an update. I rarely take a bath, opting for showers in the morning before work. 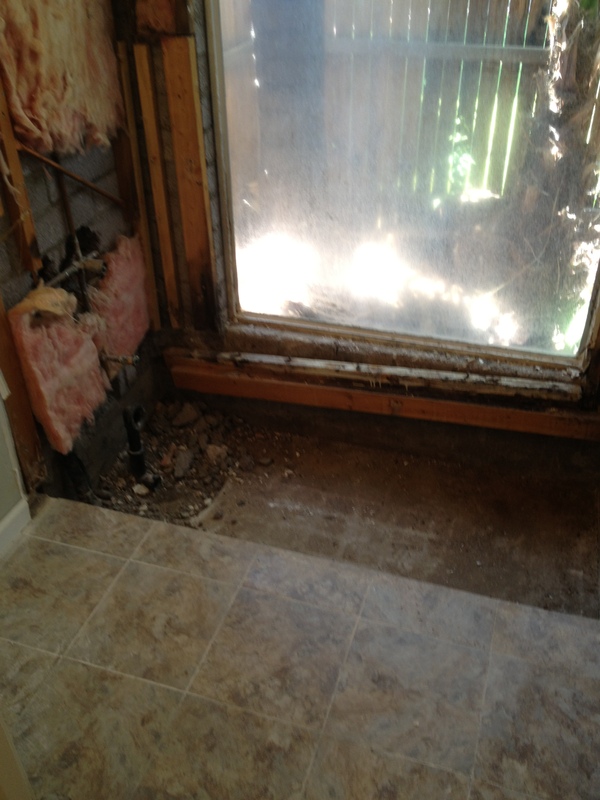 On the rare occasions that I want a bath, I have another tub in the hall bathroom, so I decided to have this sunken tub removed and a walk in shower stall put in it’s place. 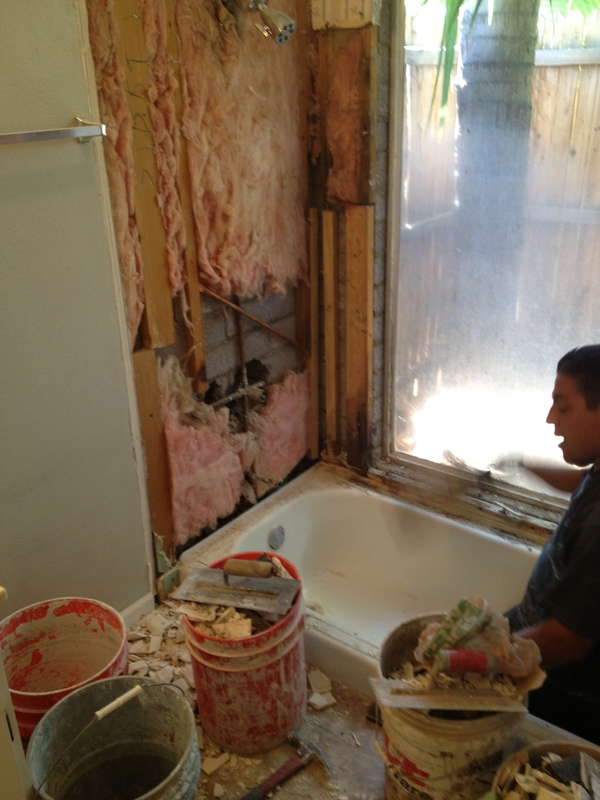 It’s so great having a son in the construction business who can refer contractors to me. Not only do I know I can trust the guys who come into my home, but also that they will give me a fair (and often discounted) price. Brian sent a good man my way who designed and coordinated the job, and we got started with demolition on May 21. 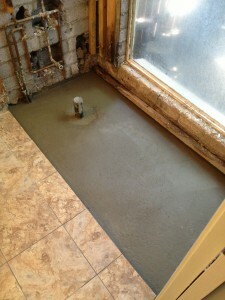 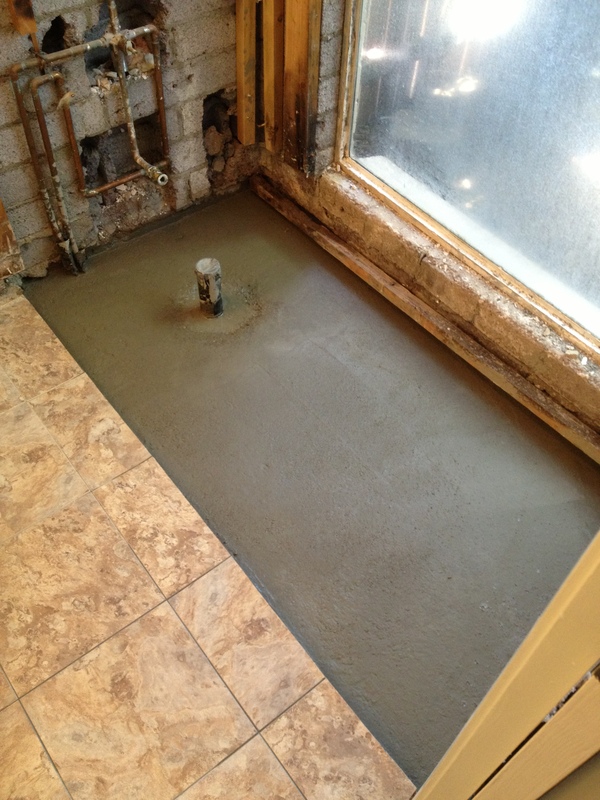 The following weekend after plumbing was completed, they filled the hole and poured cement. Drywall repair and tile prep was the next step. 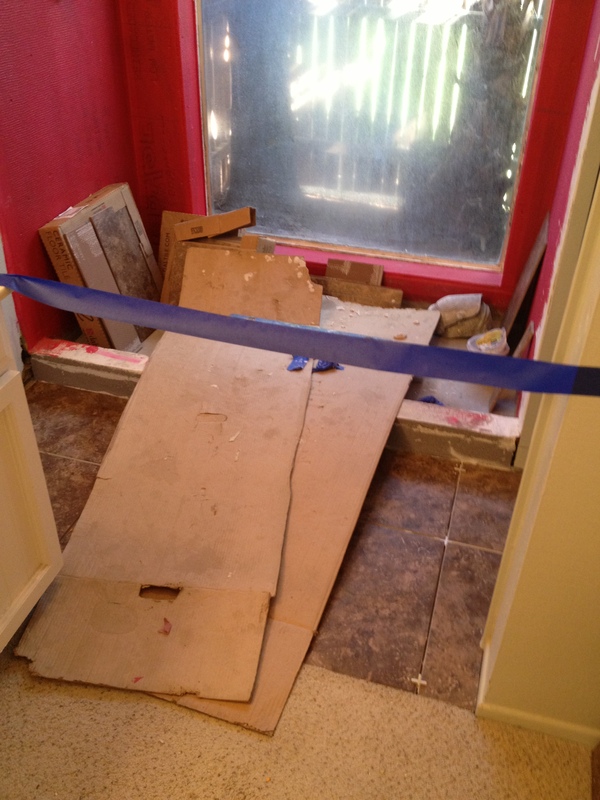 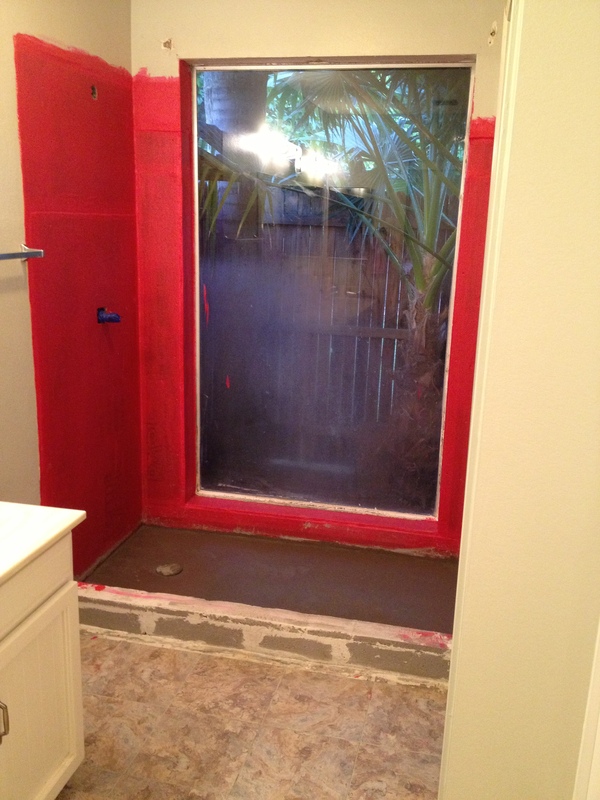 Then the fun part: new tile! 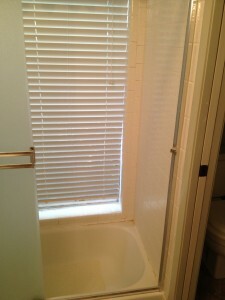 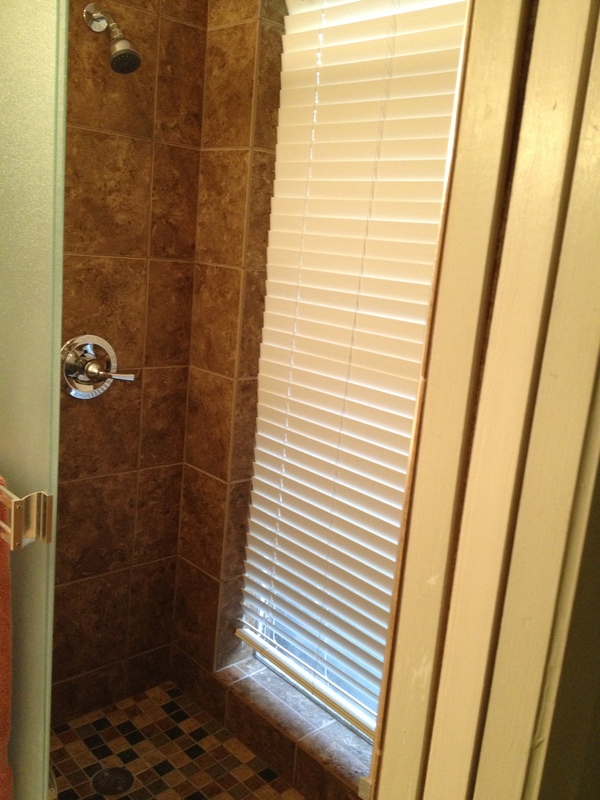 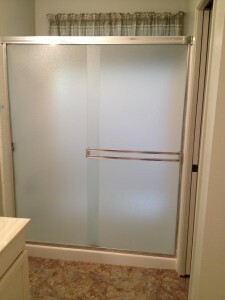 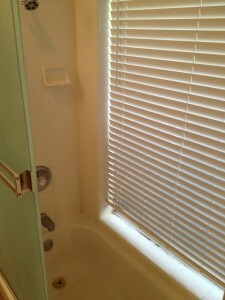 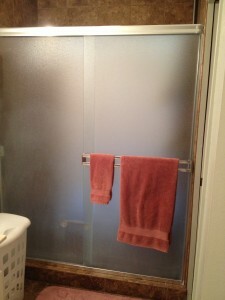 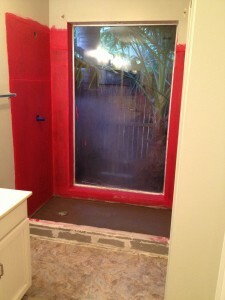 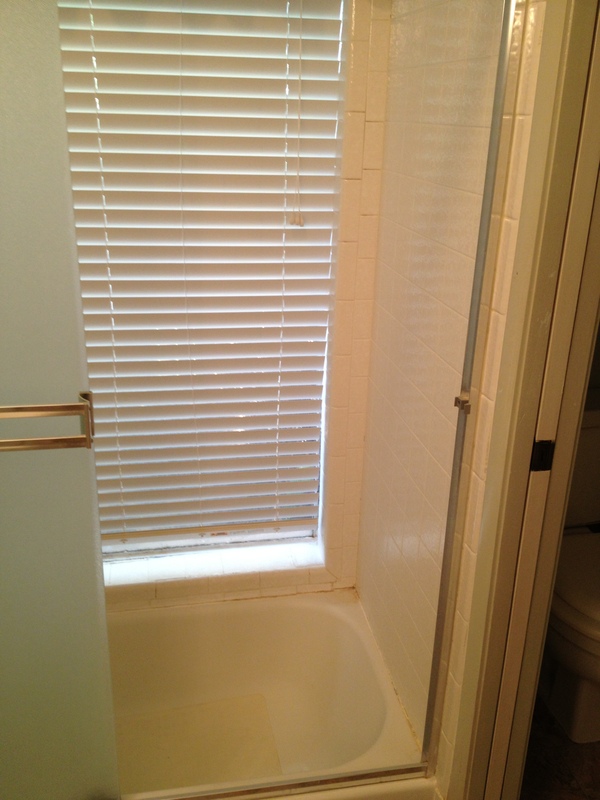 When it was done and grouted, Dale and Daryl installed my shower door and window blind. 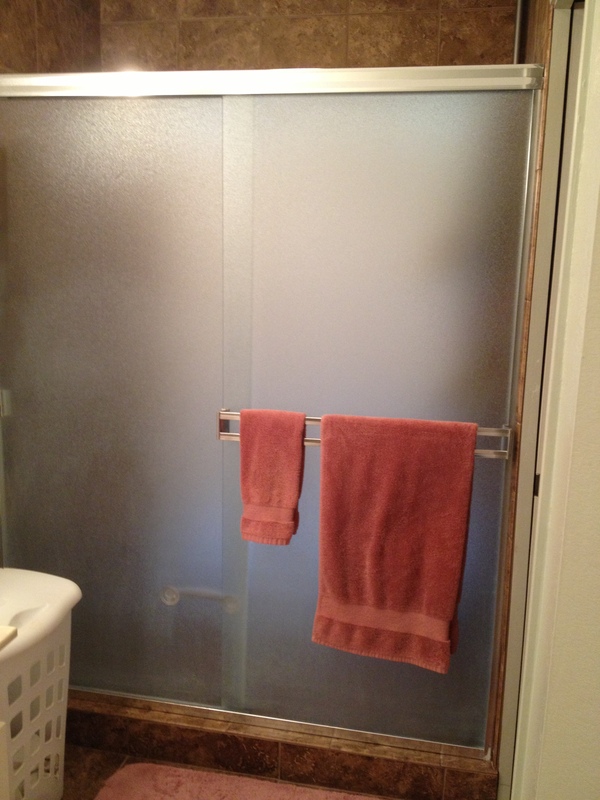 Then it was my turn: towels and shelf unit, and most importantly, taking the first shower. 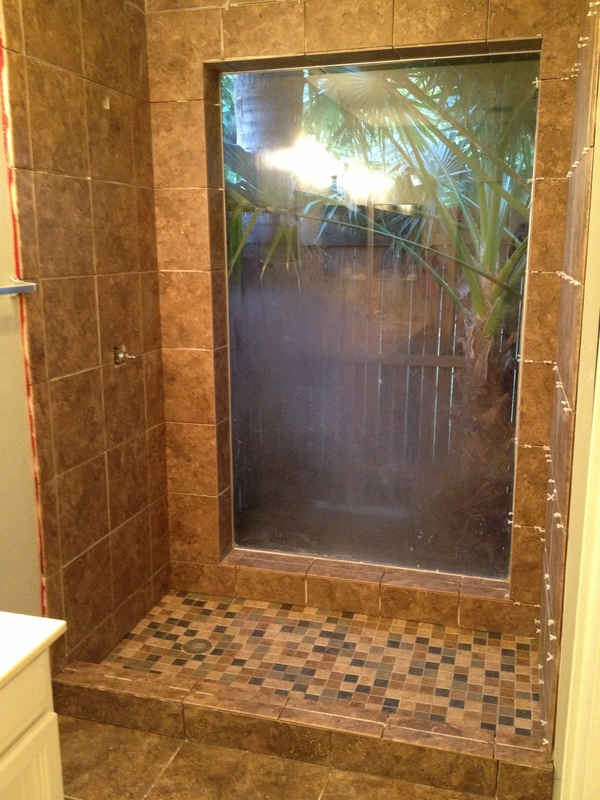 It’s done and beautiful and glorious to step into. 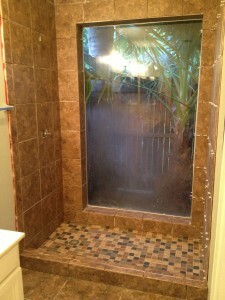 I’m very pleased! 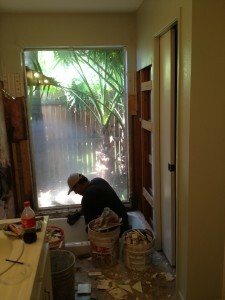 Many thanks to my family guys who have done so much for me since I’ve been on my own. 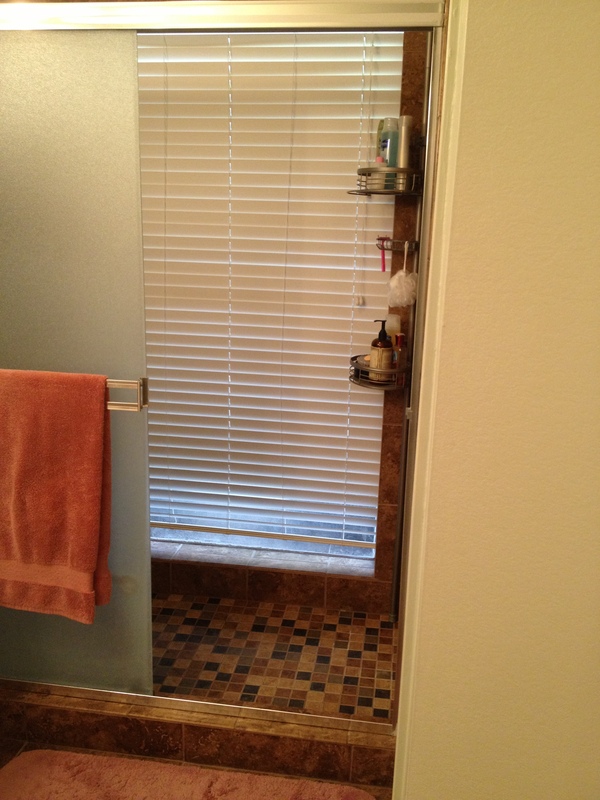 I love you and appreciate you!